The Horror Movie BBQ: The Return of The Teenage Mutant Ninja Turtles! Just a quickie: I want to write this entry and say how great it is to see Nickelodeon bringing back the Teenage Mutant Ninja Turtles. Yes, a whole new generation gets to experience the enjoyment that we all felt as we grabbed our Ninja Turtles figures and sat in front of the TV and watched those 4 radical Turtles take on Shredder and the Foot Clan! I've been able to sit down and check out the new cartoon. If you haven't checked it out, do yourself a favor and do so. It's pretty fun to watch and well done as far as the animation itself. And don't forget about the new figures as well! No, they're not the originals, but Playmates definitely improved on the designs and even added great articulation. 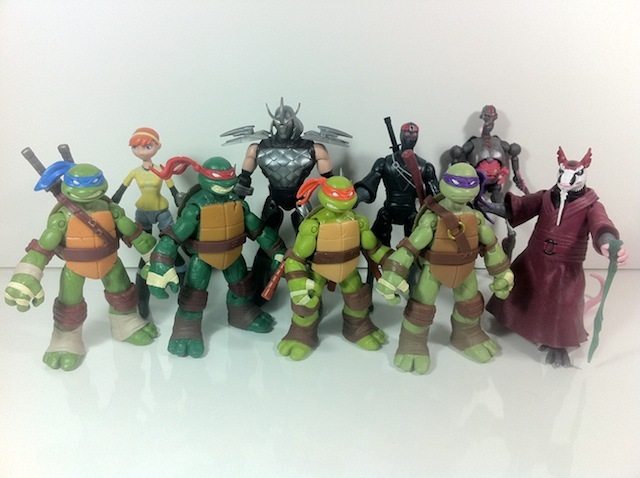 And it looks like they're also expanding on characters in the TMNT universe, new and old. In fact, expect a review and tribute to one of my all time favorite TMNT characters, MetalHead soon. The new series of Ninja Turtles! Grab them while you can! So, if you want to have a little fun that reminds you of the glory days of your childhood, check out Ninja Turtles every Saturday at 11 am on Nickelodeon! Even better, it's the return of a fun Saturday morning cartoon! Sbobet Online games that players to pay attention. Sbobet Online gambling games, baccarat online. Texas Hold'em, Gamblers, Crabs, Lotteries, Online Tigers, Dragons, Online Poker, Roulette, Horse Racing, HiLotto and other gambling games. The online casino brings us to the player to play online. There are many fun for the player to play online every day online. Only a player can have access to the Internet. Then come to our online casino site, the gambler can enjoy all the games with our online casino online casino. Many gamblers who come to play gambling games are making money from gambling games at our online casino.